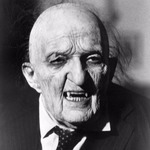 James Chapman - British Comics: A Cultural History | Vault Of Evil: Brit Horror Pulp Plus! We are all nostalgic about comics. Many of us still peek at them - some of us even collect them. 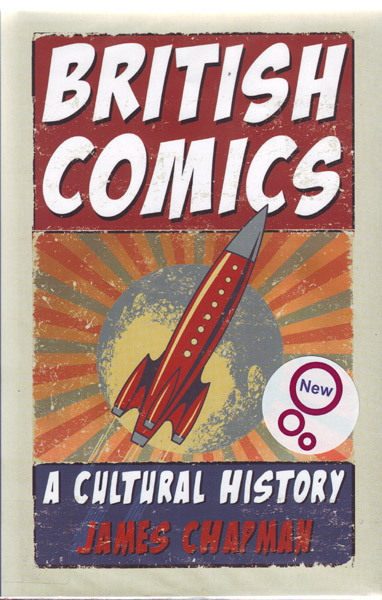 British Comics: A Cultural History is the first historical study of these cherished British comic papers and magazines and their place in our society, from their origins in the late Victorian, period to the present day. Beginning with the first comic superstar, the likeable rogue Ally Slopes, cultural historian James Chapman traces the rise of comic publishing and comic reading in Britain. British Comics considers the major genres, including schoolgirl fantasies, boys' adventure, sports and war stories. The heyday of British comics came in the 1950s and '60s when titles such as Eagle and School Friend sold nearly a million copies a week. A new breed of violent comics appeared in the 1970s. including the controversial Action and cult favourite 2000-AD, and in the 80s carne the rise and fall of adult comics such as Warrior, Crisis, Deadline and Revolver. Chapman discusses alternative comics such as Viz, and analyses the work of contemporary British comic writems including Alan Moore, Ian Edgington, Warren Ellis and Garth Ennis, whose success has prompted a renaissance of British Comics. Not yet out of January and already a strong contender for my best read of 2012. Spotted this in the library on Friday, dived straight in on the two chapters that hold the most interest (for me) and found Mr. Chapman's enthusiasm for his subject matter so contagious that it was back to the introduction to read The British Comic in it's entirety. Am sure to find more to write about this over coming days, but for now will merely reassure interested parties that yes, The Violent Years does indeed concentrate on the rise and fall of the Daily Mail and Football league bothering Action comic (Dredger, Kid's Rule OK?, Look Out For Leftie, Justin's beloved killer shark, Hookjaw, etc. ), while Mr. Chapman devotes a healthy proportion of Girls On Top to the 'seventies and the girls' comics' short lived but rewarding flirtation with horror and the supernatural. Influenced by Tammy - in particular regular feature The Strange Story and such astonishingly bleak serials as Gerry Finley-Day's Slaves Of War Orphan Farm ("regarded as possibly the most sadistic strip ever to appear in a British comic") - Thomson's produced Spellbound and IPC countered with magnificent Misty, "the first British horror comics since the 1950's, and both were produced for the girls' market .... though it seems likely that they also attracted a significant male readership. While Spellbound now seems quite anodyne, Misty with its combination of Gothic horror and teenage angst, has become something of a cult classic among some aficionados." thanks for putting us onto your concise history, Lurks. As you might expect, War comics figure prominently in Chapman's book - he's very good on them, particular in charting the shift from the jingoistic, proto-Sun tone inherited from the Victorian-Edwardian Boys' story magazines to more thoughtful offerings which tried to depict something of the reality of conflict and, on occasion, adopted a sympathetic approach toward the enemy (much the same as our boys, just born the other side of the barbed wire). He also has a passion for football stories, so we get an appraisal of nice guy Roy Race's trophy-laden career at Melchester Rovers, though i suspect some of us might have preferred more on Wigford Rovers' goal machine, Kenny ‘Lefty’ Lampton, star of Action's ultra-violent Look Out For Lefty! (1976-77), a flash but deeply troubled teenager who dosses at his booze-addled granddad's junk shop, and attracts hostility from his sadistic teacher, envious team-mates, and hooligan fans, the Rotherfield Rippers. But it's Kenny's skinhead girlfriend Angie, prowling the hostile terraces in full Bay City Rollers regalia, who instigated a media frenzy when she bottled a past-it Wigford player who'd been making Lefty's life a misery. Alan Hardaker, then secretary of the Football League, wasn't one for treating those who "encourage" terrace violence with kid gloves. "The man responsible [for drawing that] ought to be hit over the head with a bottle himself" was his helpful contribution to the ensuing debate. (you can read the entire strip on the excellent Action: The Sevenpenny Nightmare blog). I intended to buy this book. Unfortunately, I bought 'Great British Comics' (see top picture) instead. Its chapter on girls' comics is very disappointing. 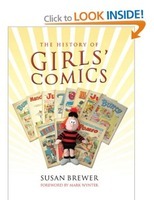 In fact, so disappointed was I that I wasn't prepared to shell out for 'British Comics: A Cultural History' (thinking that maybe the chapter on girls' comics would be little better). 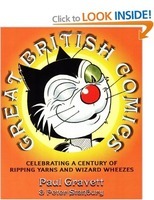 From what you say, I should buy 'British Comics: A Cultural History'. It's not too late, I suppose. The only book specifically on girls' comics (see lower picture) I've been able to discover leaves much to be desired. For a start, it would have been better written by a comic collector rather than a doll collector. Alternatively, you could loan a copy from the library (assuming you live an area that still has any left). [/quote]Alternatively, you could loan a copy from the library (assuming you live an area that still has any left). I've now ordered a copy from Amazon. We do still have a library, but I'm not sure whether it has any books. I was there a couple of months ago because the library acts as a contact point for the local authority. If one needs to send documents to the local authority (as I did) the library will scan them, and forward the scans to the appropriate department. I saw a load of computers, seemingly available for public use (although I don't know on what basis). I didn't see any books, though. Perhaps they're elsewhere in the building, or perhaps the library no longer has them. If it's anything like the set up around here, provided you've a library card you can book a computer for up to two hours. If you can't find the book you want on the shelves (you won't), provided there's a copy in circulation elsewhere in the system they can order it in for you. It's worth considering as the more people use the service, the less excuse for the local council to get rid of it in the name of "necessary cuts". Yes, there's an element of 'use it or lose it' to libraries. At first glance, the book appears to give reasonable coverage to a wide variety of comics. It also provides some interesting perspectives on the possible thinking of movers and shakers in the comic industry. What he says of the reasons for the demise UK girls' comics is interesting (although I think the full answer to this is complex). Amazon even delivers out here in the sticks on Sundays now. It's nice to get stuff that doesn't come out on a Monday the day before. Tsk! I've already found an error in book. It says that there were 102 issues of Misty. The correct figure is 101. Misty ran for 102 weeks, it's true, but on one of those weeks a strike halted the printing presses... so there were only 101 weekly issues of Misty. And in the late 1970s a new, anarchic, violently oppositional subculture exploded onto the scene:punk. Punk was spontaneous, aggressive and emphasized working class 'street cred' rather than the laid-back hedonistic idealism of the hippie movement. And its favoured mode of expression was not comics but music, particularly heavy metal. The man may know his comics but is a bit shonky on music - punks into heavy metal? He's not entirely wrong in the sense that - the way I remember it, at least - a lot of the second wave, Mohawk punks did take to metal, for which we can probably blame Motorhead and/ or a diet of speed and lager. But the original 76-77 crew certainly made a point of very publicly loathing all things HM, especially Led Zep. Very true. Stud'n'acne punx of the Discharge/GBH school had more in common with metal (especially NWOBHM) than they might have figured at first glance, but the class of '76 would have ripped mr Chapman a new one with their safety pins for that observation!